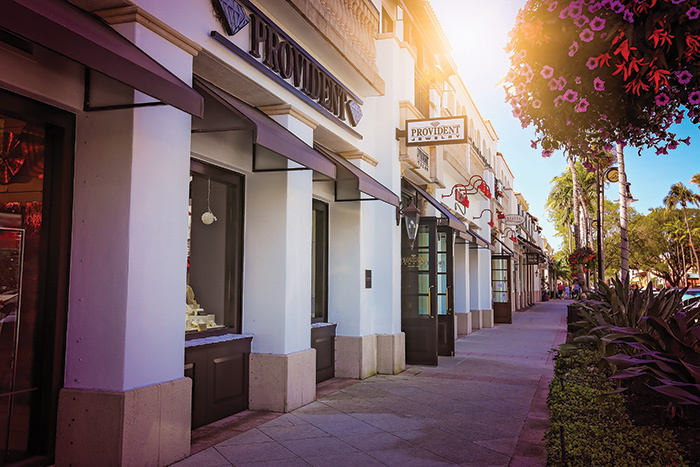 The 5th Avenue South Business Improvement District (BID), whose mission is to promote and market 5th Avenue South as the shopping, dining, working, and living destination of choice, has named Naples-based Wilson Creative Group, Inc. (WCG) their agency of record. The BID selected WCG with the desire to rebrand 5th Avenue South and enhance its marketing and public relations efforts. “The BID is incredibly excited to be working with WCG. We can already tell this is going to be a successful partnership and are very impressed with WCG’s understanding and passion for our brand. They demonstrate the proactive and innovative creative thinking to take 5th Avenue South to the next level,” Executive Director, Bruce Barone Jr. added. As agency-of-record, WCG is responsible for developing overall brand strategy, creative content, media placements, print and digital deliverables, and providing public relations support to build market share across Naples and the drive markets in coordination with the Executive Director and the BID Board of Directors. “5th Avenue South’s rich heritage and prominent influence in the Southwest Florida community makes it an exciting challenge for WCG to tackle with innovative creative campaigns, strategic social media posts, and content rich press releases and feature stories,” said WCG founder and president, Peggy Wilson. “With several native Floridian members on the team and frequent visitors of the Avenue, we have an unparalleled understanding of the brand and what it takes to continue the 5th Avenue South legacy,” she continued. “We are extremely excited to be named the agency of record for the 5th Avenue South BID and are looking forward to a long and successful relationship!” concluded Wilson.